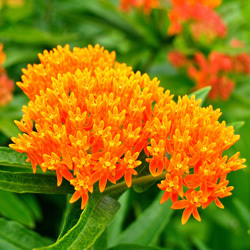 (Butterfly Weed) Butterfly Weed produces flat-topped umbels of tiny, star-shaped flowers atop narrow, lance-shaped leaves. 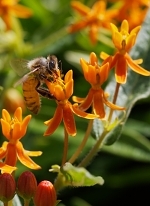 Bright orange and nectar-rich, they bloom from summer into fall. This is a drought-resistant member of the Milkweed genus (Asclepias spp. ), which is particularly important to the endangered Monarch butterfly. 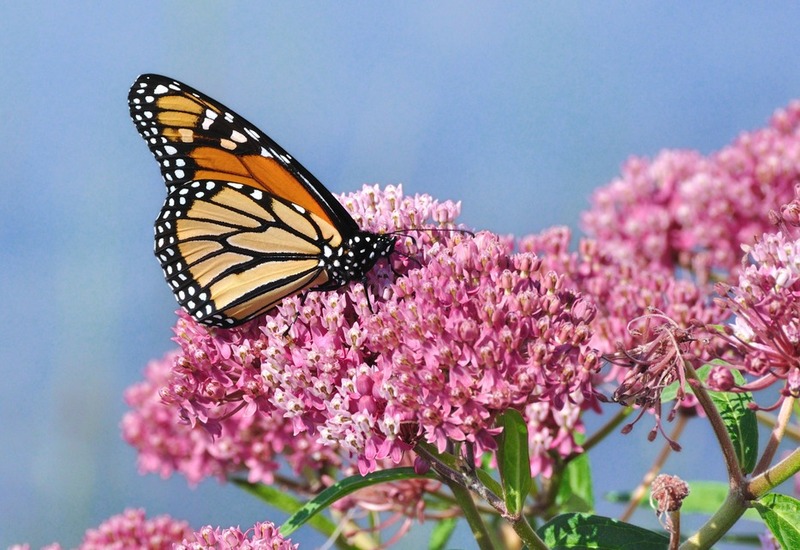 Monarchs will only lay their eggs on Milkweeds. The roughness of the species’ fuzzy foliage makes it easy for eggs and chrysalises to connect. Monarch caterpillars consume powerful chemicals in the leaves which protect them as babies and adults against predators for whom the chemicals are toxic. Butterfly Weed is a heat- and cold-tolerant plant that forms upright clumps reaching up to 36 inches tall when in bloom and spreading 36 inches wide. Although slow to emerge in spring, it is a reliable perennial. Planting bulb flowers in the same area can help to mark its location. 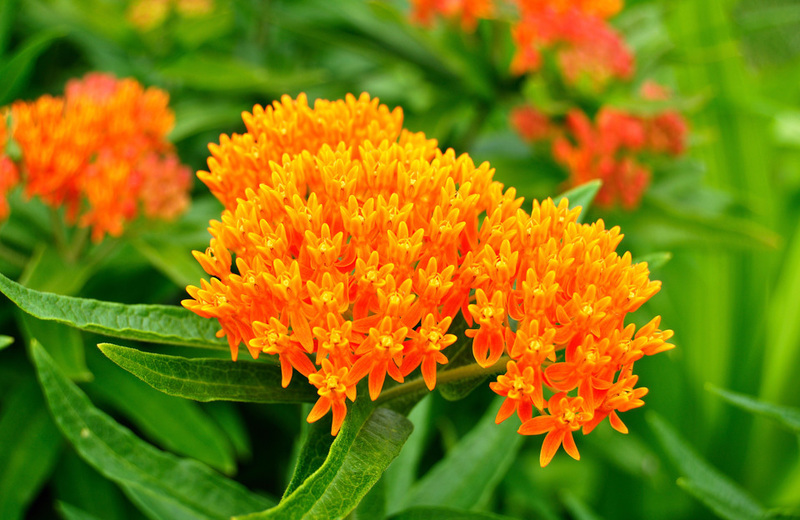 Milkweeds are American natives. Aside from butterfly gardens, they are ideal for prairie and dry landscapes, but generally grow well in any well drained soil. Backyard gardeners can help butterflies, including Monarchs, by planting nectar and host plants. The plant I received is very healthy and large. If you've ever grown any Asclepias species from seed, you know how small they are during their first year before they really get established. The A. tuberosa from Flowers by the Sea is very stocky and sturdy, and I won't have to worry about losing sight of it as it grows. Very happy with this plant, thanks again!